Market Closes at 10PM - Shop Now and Pickup on Tuesday! Market Opens at Noon - Celebrate the 4th with Local Food! Don’t forget we are at the Depot on Tuesdays now! We will be open for market on Tuesday, July 3rd! Grab some local food for the grill! 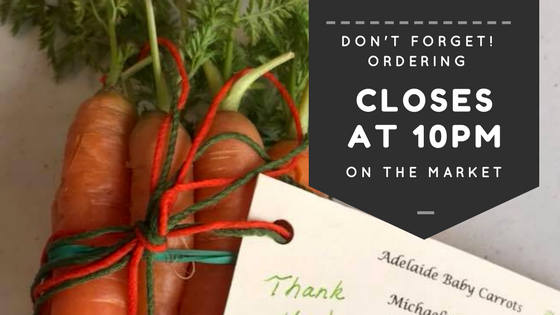 Market Closes at 10PM! 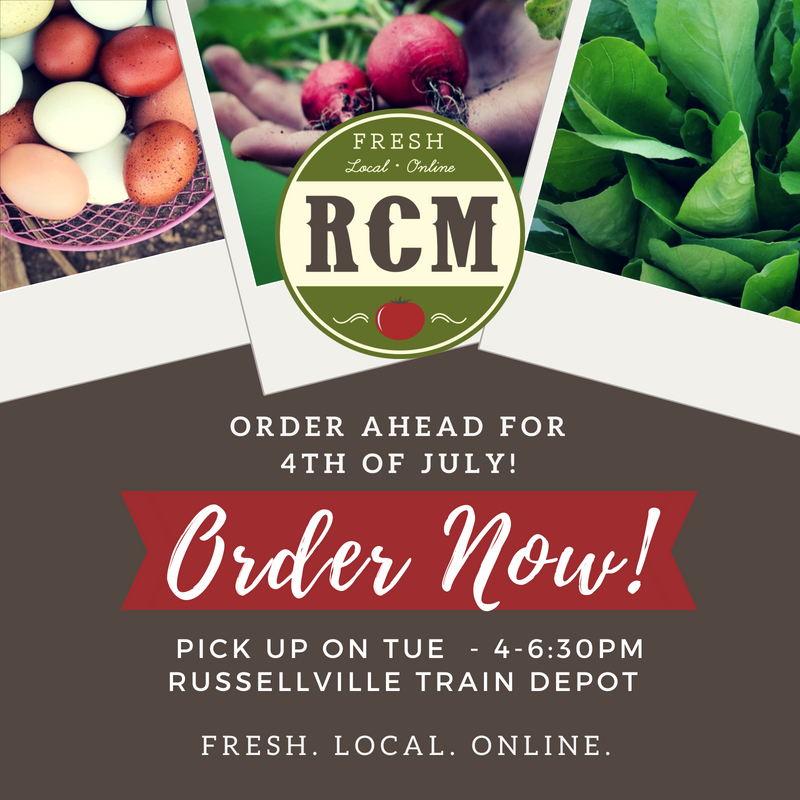 - Order ahead for 4th of July! 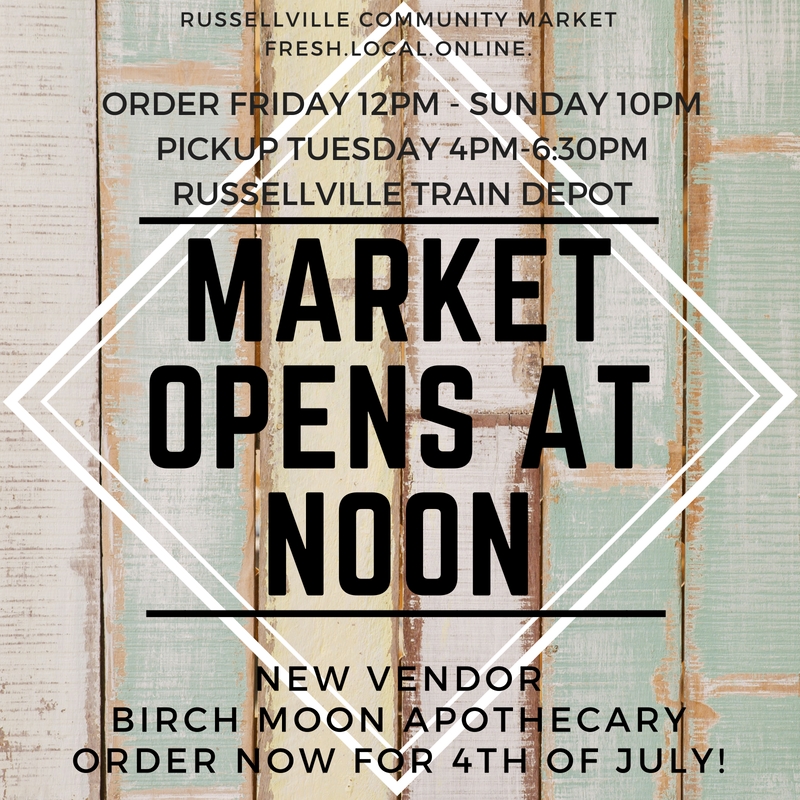 Market Opens at Noon - Birch Moon Apothecary - Order for 4th of July! Place your orders now! 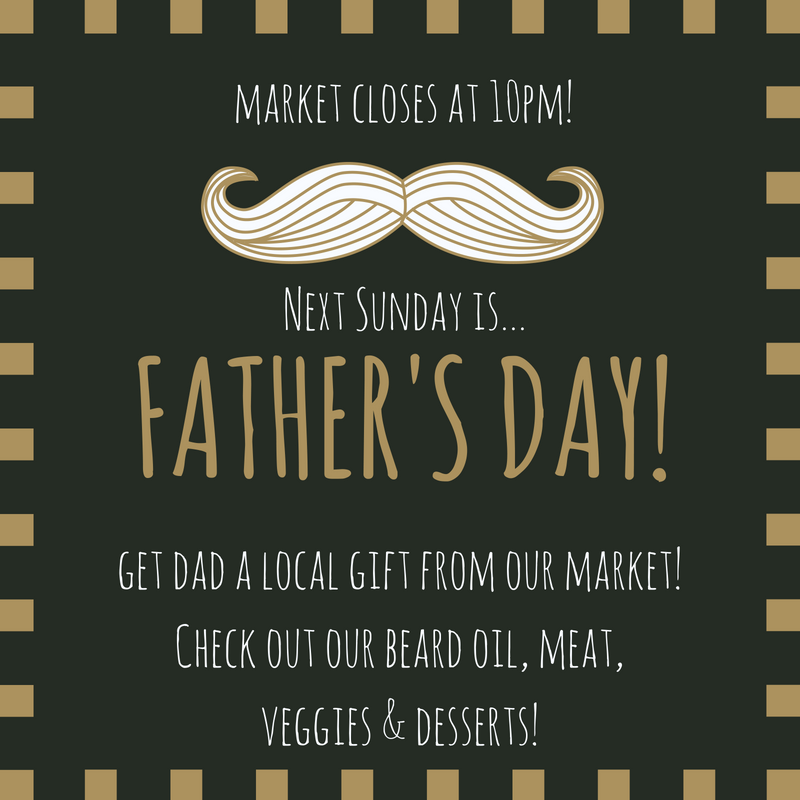 Market closes tonight at 10PM! 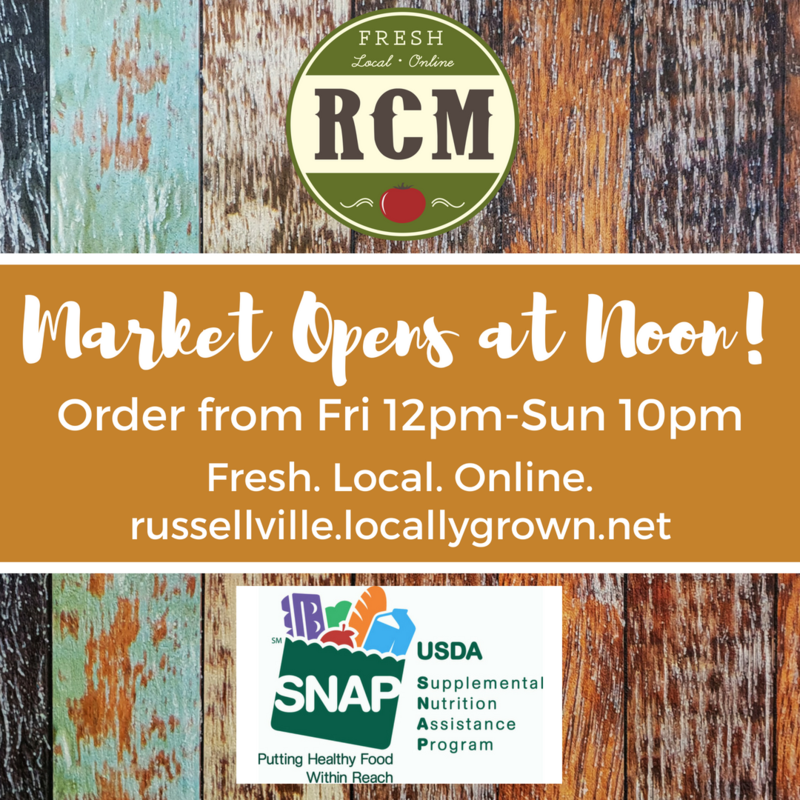 Market Opens at Noon - We Accept SNAP Benefits! Market Opens at Noon! New Season Veggies! Market Closes at 10PM and Open House Tuesday! 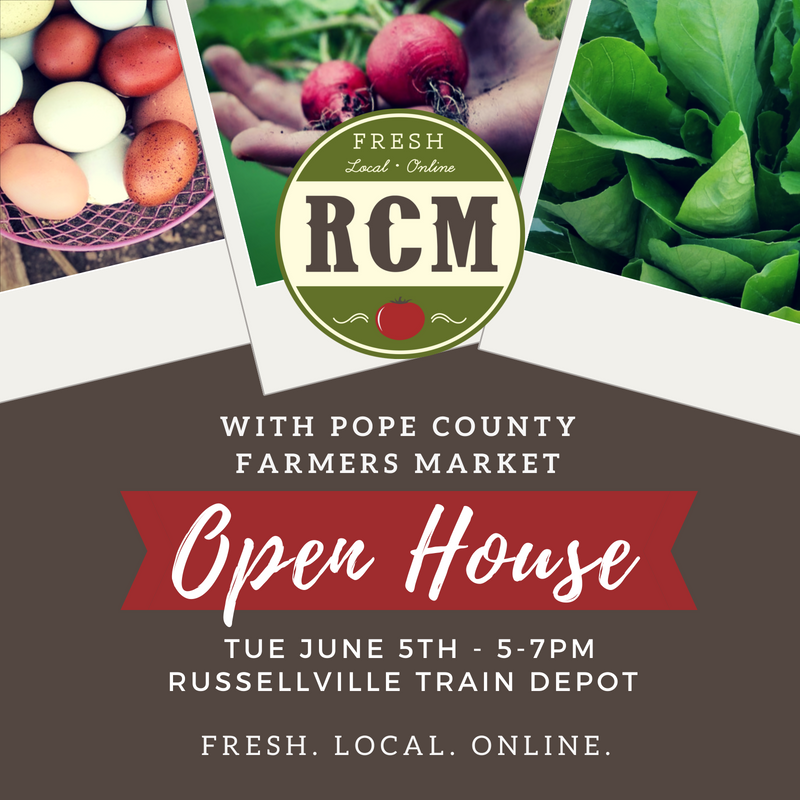 In conjunction with the 1st Tuesday market for Pope County Farmers Market we will be hosting an Open House from 5-7pm! Please come on in the Main Street Russellville Train Depot meeting room to check out our delicious local goods! Market Opens at Noon - Art Walk Tomorrow 6/1 - Baby Spring Mix Available! We will be at the Depot tonight for the Downtown Russellville Art Walk! Join us from 7pm-9pm to talk about the market and the impact local food has on our community!